Insulin is one of the most misunderstood hormones in your body. There are some diet plans that say to keep it as low as possible and there are some bodybuilders who want a lot of it, there are those who inject it for survival but the wrong dosage can send you into a coma. Is insulin as deadly as some say it is? What is the real truth? In this article I’ll separate fact from fiction so you can determine for yourself if this is the cause of all evil in your body or what can help you perform at your peak. Insulin is one of the most powerful hormones in the body. For starters, it regulates the carbohydrates, fats and proteins that are in the blood. When there is too much sugar (glucose) in the blood the body will regulate this by causing the pancreas to produce insulin. The insulin will then lower the glucose level by absorbing it into the body. This is something that is necessary, since too much glucose in the blood can be toxic. The body can also make insulin if too much protein is detected in the blood. The glucose can be stored as glycogen in the muscles and liver. When the blood glucose levels fall, the body can convert the glycogen back to glucose and use it as energy. The insulin can also cause the excess glucose to be stored in your adipose (fat) tissue as excess body fat. When insulin levels spike too quickly, usually it will be the fat tissue that will absorb the extra glucose. This is why you don’t want too much sugar when you are trying to lose weight. Yes… insulin is very good at creating stored fat, so if you are trying to lose weight you need to keep your insulin levels in check. That is a fact, but what the heck causes this fat gain to happen? The reason insulin is very good at increasing body fat is because it doesn’t just cause your body to store body fat, it also prevents the body from burning the fat that you already have. When insulin levels are high the body prefers glycogen as its energy source so it won’t burn stored fat for energy. Eating too much sugar and starch will lead to an insulin spike which will cause the body to stop burning fat until insulin levels are lowered. This is why ketogenic diets are so effective for a lot of people since amongst other things, they keep insulin levels low. Glucose in the blood is the main reason for the body to produce insulin so eating foods that raise blood glucose levels are the reason the body will trigger its production. These glucose rich foods are all of your sugars and starches. If you want low insulin levels avoiding, or limiting these foods is a good idea. The other thing that makes it hard to lose weight with too much insulin is that it can cause the body to feel it is hungry even when it has enough food. It does this by blocking the leptin signals from reaching the brain. Leptin is the hormone that tells the body that we are full. No signal to the brain means that you will want to eat, and eat and eat. So if you are trying to lose weight, stop eating too much ice cream, doughnuts, bread, pastas, rice and other foods with a lot of glucose. Having too much insulin in the body relative to the blood glucose levels is a condition called hyperinsulinemia and this can happen when you are constantly spiking your insulin levels. This can lead to a bunch of different health problems. The first is when the cells of the body stop reacting to the insulin. This condition is known as Insulin Resistance. Diabetes Mellitus type 2 also known as Type 2 Diabetes is related to and often mistake for hyperinsulinemia. As Insulin Resistance progresses, the body may start producing less and less insulin which means the body will not be able to lower it’s blood sugar levels properly and this can be very dangerous. This is opposite of Type 1 Diabetes where the body cannot produce insulin on it’s own so injections are needed to lower the blood sugar levels. The cause of Type 1 Diabetes is unknown and it’s something people are born with. Type 2 Diabetes is preventable with proper nutrition and exercise. Too much insulin can also lead to a whole host of symptoms called Metabolic Syndrome. These symptoms include obesity, high blood pressure, elevated triglyceride levels, high cholesterol levels and high blood sugar levels. So if insulin is so bad, why are people carbing up and trying to increase their insulin after their workouts? 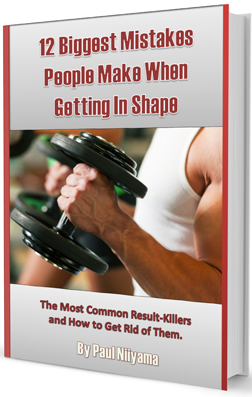 The truth is that insulin is very good for increasing fat storage and all the negative health side effects from that, but it is also one of the most anabolic hormones in the body. That means it is very good at building muscle. In addition to forcing glucose into the muscles it also transports amino acids from the ingested protein into the muscles which is necessary for protein synthesis (muscle growth.) The presence of insulin also reduces protein degradation which means your muscles breakdown at a much slower rate. As I’ve mentioned in previous articles, building muscle I all about making it faster than the body breaks it down so in that respect insulin does a good job. Insulin also indirectly increases the body’s levels of testosterone and IGF (Insulin Growth Factor) which are other very anabolic hormones. Both of these hormones will aid in increasing muscle size. Depending on the intensity and duration of your workout your glycogen levels may be depleted and a rise in insulin levels can help to replace glycogen that was burned during the workout. This is especially true for endurance athletes who use glycogen as their primary fuel and may be applicable after your weight lifting session. Again though it really depends on how long and hard you go because some workouts are not hard enough to burn through glycogen stores. The powerful muscle building effects are why many people who are looking to put on size will take some glucose (usually in the form of dextrose or maltodextrin) along with their protein or amino acids right after their workout. If you are looking to put on pure mass this will help, but remember, the mass will be both muscle and fat. Dextrose and maltodextrin are both starches which are glucose molecules with water added to it so they are very good at raising insulin levels in the body. Dextrose is used as a sweetener in some candies like pixie sticks and gummy bears or as a stand-alone supplement. The benefit you get by using dextrose instead of table sugar is that you do not get the fructose. Fructose will go right to the liver and will not do anything toward raising insulin. Having a sudden large load of fructose has also been linked to a bunch of health problems. Maltodextrin is a common additive in many foods and are especially common in weight gainer shakes. It is a little more processed than dextrose. I would opt for dextrose since it’s a little purer but both will work pretty well at raising insulin levels. Increasing insulin throughout the day can be done with all sorts of simple carbs like white rice or potatoes. Simple starches will usually work better than fruits since fruits contain more fructose, while starches contain more glucose. The higher a food is on the glycemic index, the better job it will do at raising insulin levels. Another method of increasing insulin that some bodybuilders use is to inject insulin in their bodies. This is extremely dangerous though and can literally kill you if are even a little off with your dosages. The insulin can lower you blood sugar too much (hypoglycemia) which can send you into a diabetic coma. I would not recommend messing with this method at all. The risk the benefit ratio is not very good in my opinion. The benefit may be more muscle, but the risk can be death. The other thing that some bodybuilders do when increasing their insulin levels is to add other drugs like anabolic steroids and thyroid medicine to their stack to prevent the fat gain that an increase in insulin can cause. While I don’t recommend steroids, it actually works well with insulin for enhancing muscle gains. If you are trying lose body fat I would definitely keep insulin levels as low as possible. Insulin can make you fat very easily so I would recommend keeping glucose levels low. This means no sugars and low to no starches when you are cutting. If you are building muscle, increased insulin levels can definitely help but I would really monitor the levels of glucose you intake to see how much your body needs to build lean mass. You could gain fat if you take in too much glucose. Tracking will be the key to see what works for your body. For a postworkout shake or meal a good starting place is about 2x the amount of protein you take in. So for example if you get 50 grams of protein you can start with 100 grams of dextrose or maltodextrin and monitor your results. If you aren’t gaining muscle you can increase the amount and if you are gaining fat you can reduce the amount. Since everyone’s body is different, trial and error will be the best to see the exact amount that works for you. For more updates on future articles you can join our facebook group or subscribe to the email list.